10:00 P.M. 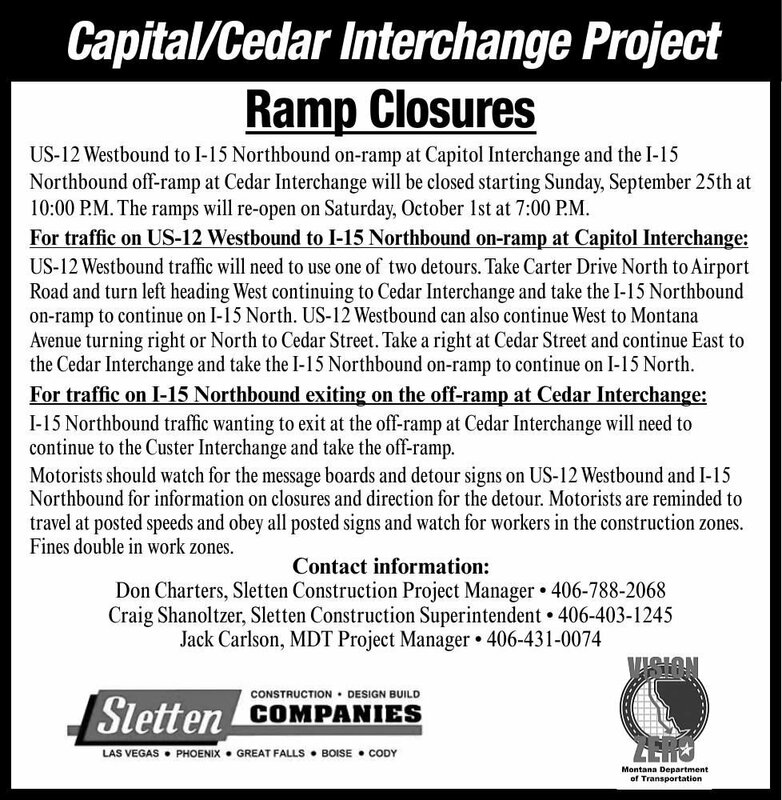 The ramps will re-open on Saturday, October 1st at 7:00 P.M.
the Cedar Interchange and take the I-15 Northbound on-ramp to continue on I-15 North. continue to the Custer Interchange and take the off-ramp. travel at posted speeds and obey all posted signs and watch for workers in the construction zones. Fines double in work zones.